Hungarian government minister András Aradszki has told the country’s parliament that is was a ‘Christian duty to struggle against the Satanic Soros Plan’, and defend against assaults on faith, Europe, and the family. “We see attacks against the great European family, when Soros and his comrades want to destroy the independence, autonomy, and values of the nation, and diluting the Christian spirit of Europe with the forced resettlement of tens of millions of foreign migrants,” Mr. Aradszki, whose Christian Democratic People’s Party (KDNP) is in coalition with Prime Minister Viktor Orbán’s conservative Fidesz party, told fellow MPs on Monday. “But the fight against Satan is a Christian duty. Yes, I speak of an attack by Satan, who is also the angel of denial, because they are denying what they are preparing to do — even when it is completely obvious. They frantically try to prove that there is no quota, there is no compulsory settlement, and the Soros Plan does not exist,” he added. 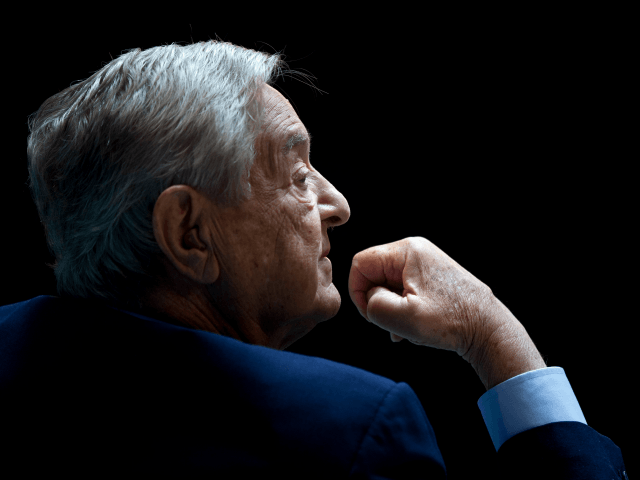 Indeed, despite denials by establishment media that a plan to flood the continent with a million migrants a year exists, in September 2015, Soros authored an opinion piece entitled: ‘George Soros: Here’s My Plan to Solve the Asylum Chaos’ where he declares that “the EU has to accept at least a million asylum seekers annually for the foreseeable future”. Soros has also been using his Open Society Foundations in an attempt to turn Catholic Ireland, which major U.S. abortion provider Planned Parenthood refers to as the “jewel in the crown of the pro-life movement”, into a pro-abortion country, according to leaked documents. Hungary has embarked on a national consultation on what the KDNP minister called the “Satanic Soros plan”, which he noted “also gives us the opportunity to make our opinions known about what we think of our homeland’s thousand-year-old history, our national sovereignty, our freedom, and our beloved Europe”. Aradszki told parliament he recently took part in a rosary pilgrimage in his district, timed with Poland’s ‘Rosary on the Borders’ where “together with our Polish brothers, we prayed to Holy Virgin Mary for Hungary, for Christian Europe and its lack of freedom, and for the disappearance of terrorism”. A reported over one million Poles turned out on Saturday to pray the rosary along the country’s 2,000-mile border for the salvation of Poland on the day that marked the anniversary of the Battle of Lepanto, where “the Christian fleet overcame the Muslim armada, saving Europe from Islamisation”, and also marking the end of the Fatima centenary. Believing that the strongest weapon against evil was prayer, the MP said the rosary was “capable of changing history”; the rosary is believed to have lead to the victory at Lepanto in 1571 when Pope Pius V ordered the churches of Rome opened for prayer day and night. “Soros György [George Soros] will also experience this,” Aradszki added.